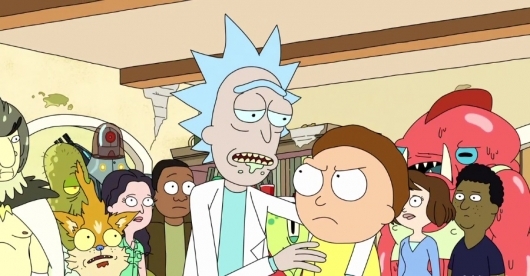 It’s hard to believe that it’s already been a little over five years since Rick and Morty first aired. Especially considering there’s only been three seasons so far. Food Network churns out 22 seasons of some of their shows in the same amount of time. 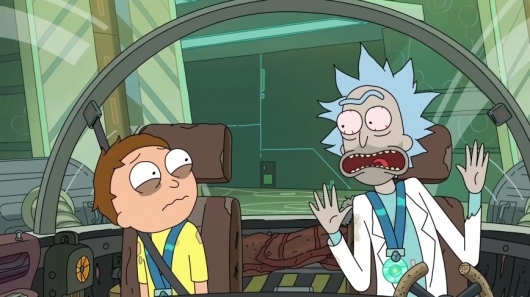 We’re currently a little over 15 months into our wait for Rick and Morty season four, with no return window in sight yet. The wait for season two was around 15 months. The wait for season three was a particularly painful one, lasting about 18 months. But fans are used to earning those new seasons with unwavering patience. Something that’s much easier now that we know that lots and lots of new episodes are coming our way. If you haven’t seen the animated comedy yet, or you don’t own any of the seasons yet, a new box set containing all three seasons is coming to Blu-ray and DVD soon. You can find all of the details on it below. ‘Rick and Morty’ Season 4 Confirmed As Adult Swim Orders 70 New Episodes — Yes, 70! Because of how massively popular Rick and Morty has become, it was automatically assumed that a season four was on the way. Fans knew it would be a while, but one day it would arrive and that patience would be rewarded. Then came the troubling surprise that, despite fans already being nearly half a year into the wait for season four, that season hadn’t even been ordered yet. Much worry spread. At the time I theorized that perhaps Adult Swim was just as excited as the rest of us about the show and forgot to do the proper paperwork. Or perhaps they wanted to top that memorable April Fools’ Day joke. Whatever the case, all has now been remedied and all is well in the world once again (sorta) as Adult Swim has not only confirmed season four, but they’ve ordered 70 new episodes. 70. FREAKIN’. EPISODES. That’s more than double the amount of episodes we’ve gotten since the show debuted back in December of 2013 to look forward to. 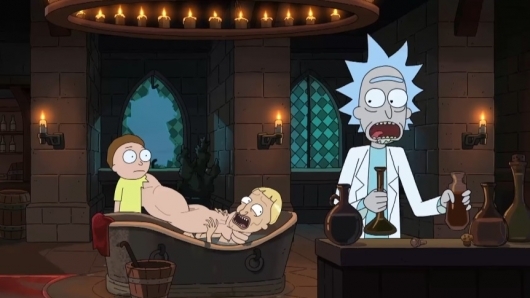 Show creators Justin Roiland and Dan Harmon made the big announcement that they were heading back to work, rather hygienically, in a video you can find below with the full announcement. 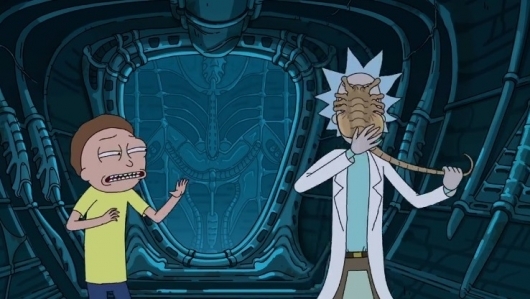 We’ve already had a “wait, what?” moment with Rick and Morty when the premiere episode for the long-awaited third season was surprise aired on April Fools’ Day almost one year ago. The wait from season two to season three was nearly two years for fans, so it was clear that the wait to season four would also be lengthy. 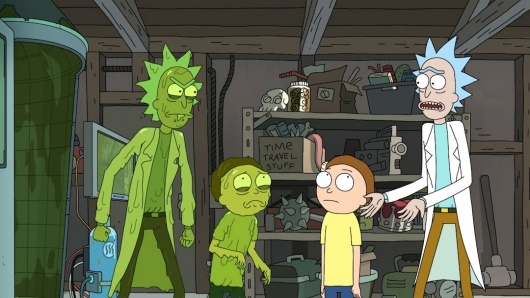 Like other popular shows such as Game of Thrones and Stranger Things, it looked likely we wouldn’t be seeing new Rick and Morty until at least 2019. That could still happen, but it turns out that one rather crucial step in creating a new season is the network actually ordering it. Who’da thunkit?! Despite the show being immensely popular and a season four seeming like a no-brainer, it appears that Adult Swim has not actually given the greenlight yet. 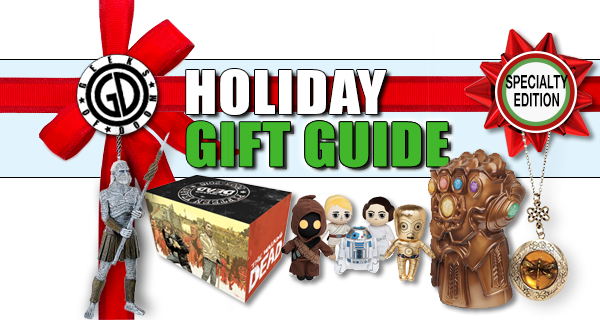 The latest charitable campaign by Omaze is one that fans of the hit animated comedy Rick and Morty will no doubt be interested in donating to. Of those who donate, one person will win a trip to Los Angeles to hang out with show creators Justin Roiland, who also voices the two title characters, and Dan Harmon. 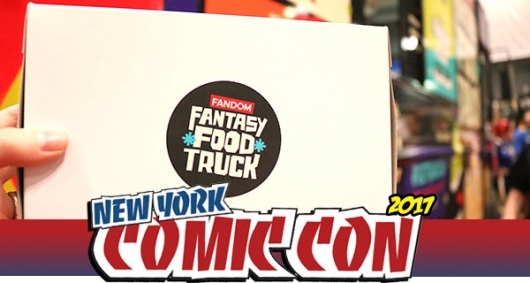 While there, you’ll be able to record some commentary for the season three home video release, and even enjoy some chicken nuggets with some of that sweet, sweet Szechuan sauce. And of course, in donating you’ll be supporting a great cause. Continue reading for more details and to watch a video with Roiland and Harmon. It finally happened, Rick and Morty fans! 21 months after the season two finale aired on Adult Swim, an official premiere date has been set for season three. Thankfully that surprise release of the first episode of season three on April Fools Day made the wait a little less painful. In addition to the release date, a trailer has also been released for the new season which is jam-packed with intriguing peeks at the madness that’s to come. Continue below to check it out now. 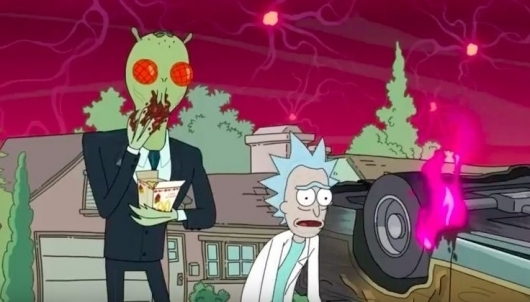 After recovering from the excitement of that amazing surprise first episode of Rick and Morty season three, attention was turned to trying to convince McDonald’s to bring back the Szechuan sauce featured in the episode the fast food chain offered back in 1998 when Disney released the animated movie Mulan. While we wait to see if the sauce comes back, YouTube series “Binging with Babish” is here to offer some ways to create your own Szechuan sauce at home. You can check out the video below.